The Prime Ministers of India and Israel are happy and pleased with the outcome of Monday's delegation-level talks, said the Ministry of External Affairs (MEA). 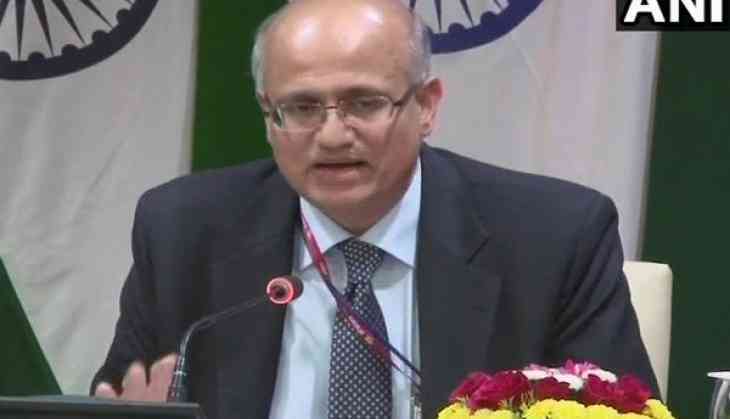 Briefing the media on the deliberations, MEA Secretary (Economic Relations) and Foreign Secretary-designate Vijay K. Gokhale said, "The two PMs are extremely pleased by the outcome of their thoughts. Prime Minister (of Israel Benjamin) Netanyahu is looking forward to his visit to Gujarat". "All of you who would have seen the television shots, the warmth and the relations of India-Israel was evident. It was evident in the reception at the airport and at the dinner which was hosted by Prime Minister (Narendra) Modi, said Gokhale in a statement. Earlier, Prime Minister Narendra Modi said that he has invited Israeli defense companies to work and invest in India. He also said that India and Israel would strengthen the existing pillars of cooperation in areas that touch the lives of peoples in both the countries, which include agriculture, science and technology and security. The two sides today also signed nine Memorandum of Understanding (MoUs) in various sectors, including cybersecurity, energy and medicine. Netanyahu, who is on a six-day visit to India, received a ceremonial reception at the Rashtrapati Bhawan today. Netanyahu will be visiting Agra, Gujarat and Mumbai, and he will be accompanied by the Indian Prime Minister on extensive portions of his visit.